Canadian real estate markets are still cooling around the country. Canadian Real Estate Association (CREA) numbers show only two markets saw SNLR improvements in October. The indicator, used as a gauge of demand, fell fastest in some of Canada’s largest real estate markets. The sales to new listings ratio (SNLR) is a quick way to gauge real estate market demand, and is used by CREA. 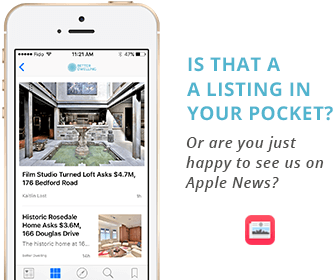 It sounds fancy, but it’s just the ratio of sales to the number of new listings. The concept is, by measuring same month absorption, you can tell how hot or not a market is. Reading it is straightforward. If the ratio rises above 60%, it’s a “seller’s market” – when a seller can ask for more. When the ratio falls below 40%, it’s a “buyer’s market” – when a buyer can ask for more. Anything between, and it’s considered “balanced.” One should exercise caution when the ratio is moving fast. Sometimes a fast moving ratio only makes a “pit stop” in balanced, before flipping higher or lower. Editor’s Note: If you’re a Vancouver real estate agent about to email us, stop here. Please look up the difference between the SNLR and sales to active listings ratio (SALR) before you do. We’ve started a list of agents that have contacted us, demonstrating they don’t know the difference. It’s getting embarrassingly long, and strangely only contains agents from Vancouver. Real estate markets with the highest ratios were all located in Southern Ontario. Windsor-Essex had the highest ratio at 75.8 in October, down from an even higher 79 last year. London reached 75.7, down from 79.4 last year. Ottawa had the third highest with a ratio of 69.4, moving higher than last year’s 63. Demand is cooling in the top two markets, although it’s still very high. The sales to new listings ratio in Canadian markets with more than 500 sales in October. The Canadian real estate markets with the lowest ratios were in Western Canada. Edmonton had the lowest at 45.3 in October, down from 48.9 last year. Calgary was a little higher at 47.4, down from 54.1 last year. Vancouver was third lowest at 48.4, down from 65.6 last year. You may have noticed that even the lowest SNLR for a major Canadian market still isn’t in buyer’s market territory. The biggest gainers were the only two to see gains – Montreal and Ottawa. Montreal’s SNLR reached 68.7 in October, up 12.25% from last year. Ottawa’s SNLR reached 69.4, up 10.16% from last year. Both markets had previously lagged the general market for years, so it’s easy to see them playing catch up. The percent change of sales to new listings ratio in Canadian markets with more than 500 sales in October. The biggest losers this month were in Western Canada. Vancouver real estate saw the ratio fall to 48.4, down a massive 26.22% from last year. Victoria in a distant second saw the ratio reach 63.1, down 15.53% from last year. Calgary in third at 47.4, down 12.38% from last year. For those curious, Toronto hit 49.4%, down 9.69% from last year. These markets all saw huge declines, but once again none have reached buyer’s market territory. Canadian real estate markets are cooling, but none are a complete “buyer’s market.” Segments in places like Vancouver may have reached that mark, but no complete market is in the region. Higher interest rates and tighter lending are on course to get worse, which could change that soon. Vancouver is a blood bath because of NDP taxes on housing wealth. The current effect has nothing to do with NDP taxes. You can chart the declines in average prices in the market, to the day, to the Liberal foreign buyers tax and increases in the mortgage stress tests. The NDP will inexplicably get the blame for the bubble popping but they’ve had little to do with it. Ottawa will reverse soon. Federal government is being slashed, and we’ll see more people move from the region for new work. Its still really hard to sell old houses off island (Montreal) because there are too many prettier new ones for sale. Three or four years to sell a house, even in this RE boom, is not unheard of. Millennials don’t want fixer-uppers, contrary to the hype on all the TV renovation shows. The big lot, 60’s and 70’s homes don’t move fast. I nearly spit out my coffee. This is awesome. Tick tick. BD4L. The newer, ‘prettier’ ones always the worst investment. It only takes 15 years for them to look older, but they are on smaller lots and worse positions. Anybody who considers investment potential would be smart to buy those fixer-uppers in better locations. If they’re not afraid of a bit of work, that is. when you throw a rock into lake always got ripple ,Canada can’t count on the immigration and real Estate for support Economic, it’s not a long term solution . Yet it has worked for centuries. Using this metric there’s not a single seller’s market in all of Canada. Huh? 6 of the markets up there are a seller’s market. I’d argue Calgary’s bloodbath is every bit as bad as Vancouver’s, the Y/Y SNLR change doesn’t take into account the 4 year recession the city has weathered since oil fell out of bed. Not sure why you feel so giddy that some markets experience difficulty. It’s normal after waves of government intervention.. but nobody is winning anything, except very few who are waiting to purchase all cash. Their cash is worth more in some markets.. for now. But if you have to borrow you are either not allowed or have to pay higher rate. Whether you gain anything will be seen when you finally qualify or renew in 3-5 years. Pent-up demand may once again rear its ugly head by then.